Jonathan Broussard looks like a normal kid, but like many other babies Jonathan was born with a congenital heart defect. “At that 20 week mark, we knew something was wrong,” says Jared Broussard, Jonathan’s father. “Between 20 and 23 weeks pregnant, we knew something was wrong, but we didn’t know what,” says Jonathan’s mother, Rikki Broussard. “So at 23 weeks pregnant, we went to see maternal fetal and they diagnosed him with tetralogy of fallot. Jared and Rikki did not know anything about the disease and were unsure if Jonathan would survive. “When you are hit with news that your unborn baby is going to have a major complex heart defect, you have no idea what that means, you have no idea what that means for his or her future and it is quite overwhelming,” says Jared. Jonathan and his parents flew up to Boston Children’s Hospital for surgery when he was only three months old. Jared and his wife Rikki did not have the time or strength to call every family member to update them on Jonathan’s condition after his surgery. Jared would update the blog every couple of hours from Jonathan’s bedside and explain how his son was recovering. “I became fascinated with it. One, I think it was an outlet for me. Two, it was a communication tool, to in the click of a button, communicate to 35 or 40 of our closest friends without having to repeat that process over and over,” says Jared. From Jonathan’s hospital room, Heartwaves began to give other families hope, support and encouragement through the difficult and uncertain times. Moms and physicians now blog on Heartwaves.org and bring the congenital heart defect community together by giving people an outlet to share their opinions and support. Lindsey Blanchard’s son Ben was also born with a congenital heart defect and was able to use Heartwaves for support and guidance from other families. Today, Jonathan is a normal kid. “I can just look at him and know he’s incredible and fine and growing just like he is supposed to be,” says Rikki. 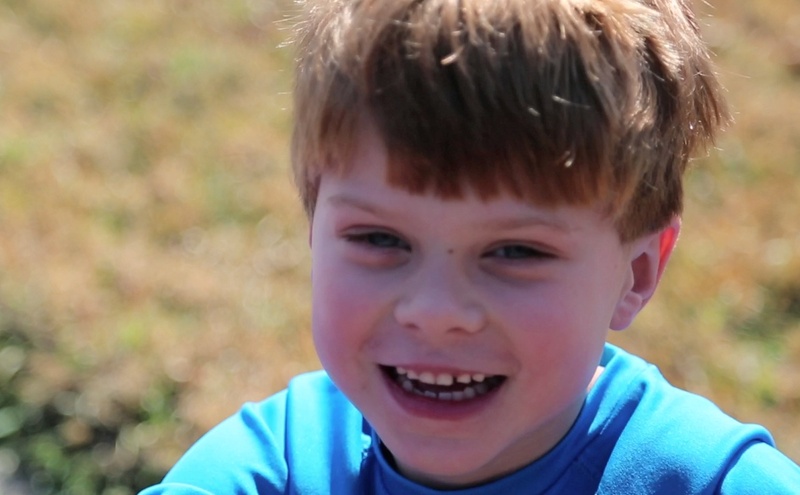 Because of Heartwaves.org, Rikki and Jared can share Jonathan’s success with other families. Giving moms and dads a glimpse of hope when they may need it most.